Pre-Brexit jitters? No, just a disputed debt, according to French aviation authorities, who seized one of Ryanair’s B737 aircraft just before it was due to fly 149 passengers to London Stansted. France’s civil aviation authority grounded the plane at Bordeaux-Merignac airport airport in a move officials described as “a last resort”. The BBC said the dispute centred on French subsidies paid to Ryanair for flights from Angoulême regional airport between 2008 and 2009. The European Commission later deemed the subsidies illegal – so the regional airport wants its money back, which seems a little odd as Ryanair presumably delivered the flights. Regional airport officials reckon the sum is about EUR 525,000 (AUD 823,000), the BBC said. “It is unfortunate that the state had to take such action, which led to the inevitable inconvenience of the 149 passengers on board the immobilised plane,” the French civil aviation authority stated. Latest word is that Ryanair paid up to get it’s plane back. The airline has just emerged from a series of strikes across Europe by its pilots and cabin crew across Europe – yet Ryanair shrugged it off, reporting an 11% rise in traffic in October, even if profits were dented. 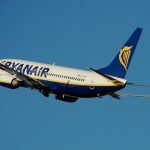 The threat of air transport chaos if Britain cannot reach a deal with the EU before Brexit should not, theoretically, affect Ryanair too badly, as the airline is based in Dublin. Ireland is staying in the EU. 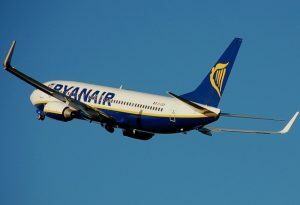 Challenges remain however, as a great many Ryanair flights operate direct between Britain and numerous points in the EU.